With China actively seeking to eliminate Google from its virtual shores, even going to the effort of creating its own version, Iran has turned up the heat on the internet mapping giant this week over its failure to label the Persian Gulf, according to a report from CNN. The Iranians believe that Google is making a political statement by failing to use the Persian Gulf label, which has in recent years been re-titled ‘The Arabian Gulf’ by some believing it is more ‘politically correct’. The Persian Gulf is coveted by Iranians as a statement of power and ownership over the gulf, and refers back to the nation’s history in the Persian Empire. Proponents of the Arabian Gulf name suggest that as 70% of the Gulf coast is NOT in Iran, that the Arabian Gulf is more appropriate, and that the use of Persia is an anachronism even in Iran, where the population is a mix of Persians, Arabs, Kurds and numerous other ethnic groups. Iran has raised similar complaints against various institutions for decades. 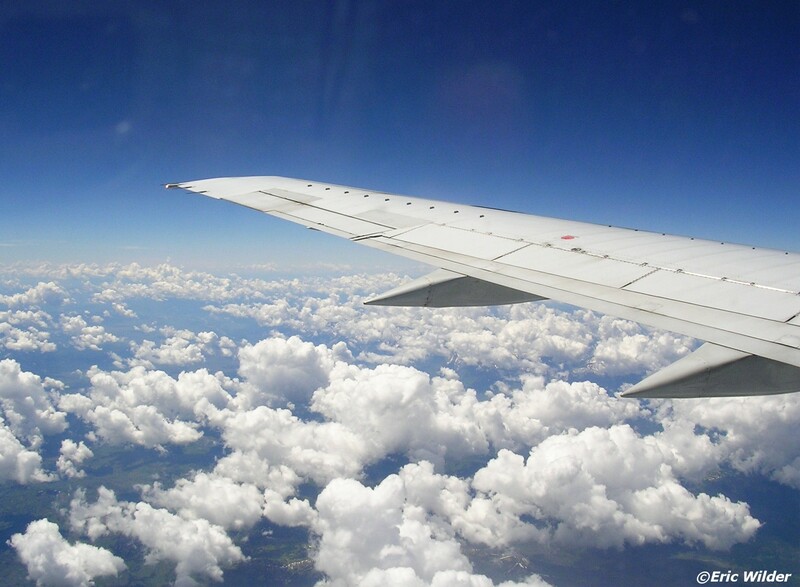 A simple Google search finds correspondence with the Dutch Airline KLM during the mid 1990’s after they referred to the Arabian Gulf in their in-flight magazine. More recently thousands of people protested through Facebook ’causes’ when the US Navy used Arabian Gulf, the Economist magazine was banned when it referred to the waterway as ‘The Gulf’ and reportedly the infamous Louvre gallery in Paris, France found itself in hot water when its guidebooks did the same. A look at maps going back to the turn of the century in Maps.com’s National Geographic Classic Collection reveals, interestingly that published print maps have always typically used the Persian Gulf label. 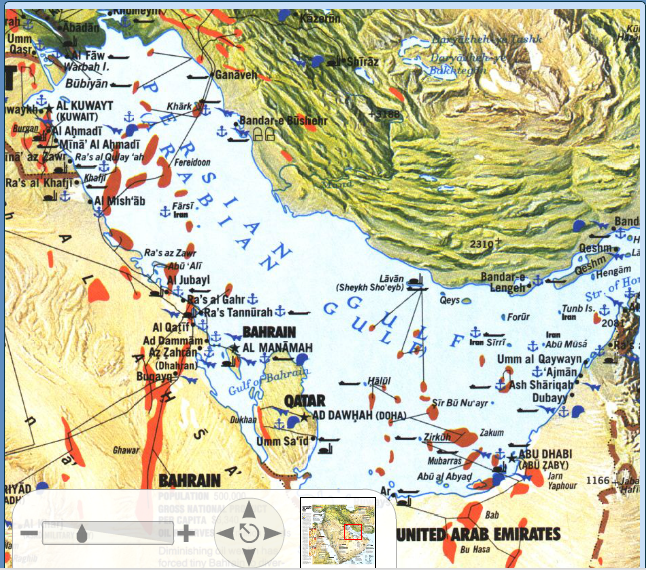 One edition from 1991 shows both Arabian Gulf and Persian Gulf labels, but was designed to highlight the various disputes and issues of the region at that time. Google is of course an easy, and high profile target when it comes to this type of dispute. For one, any assault on Google, the world’s third biggest superpower behind Apple and Microsoft, is bound to make headlines or at least come out near the top in a Bing search. And for two, any irate consumer who wants to bash the search engine giant can take their pick of lost cities and mislabeled waterways to rant about. 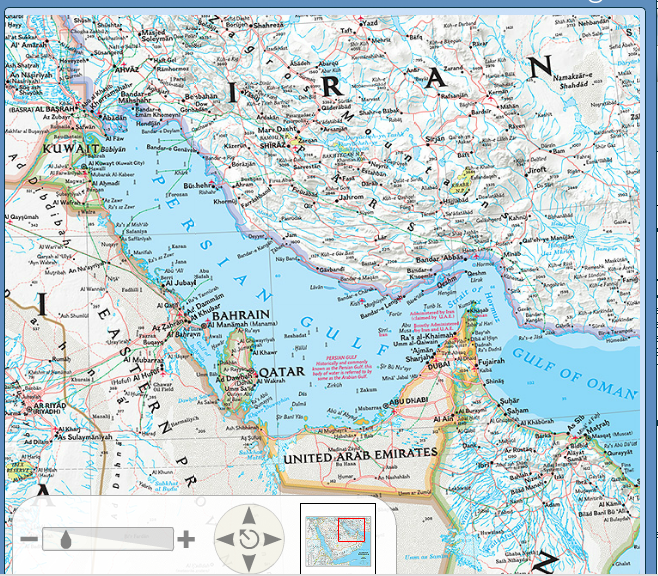 From our point of view at Maps.com, newly published maps follow the convention set by leading cartographic publishers and organizations like the IHO – and will continue to be ‘The Persian Gulf’ until further notice. Hot on the heels of our recent article on ‘Map Skillets’ the Cartophile has another reason to break out his wallet with these super geo-themed chopping boards. Who needs Gordon Ramsey recipes when you can have the best works of Vasco da Gama right there on your counter-top? 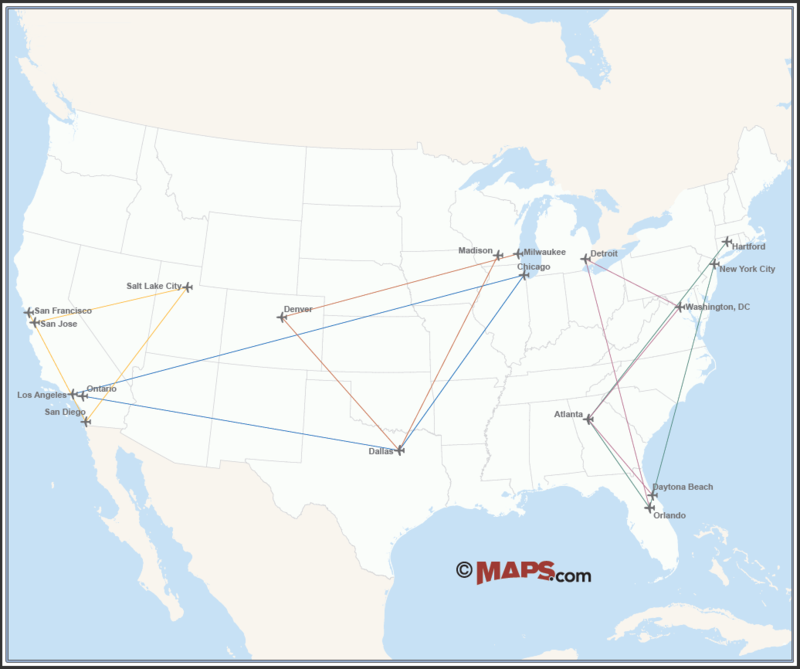 Available in the shapes of all 50 States including Hawaii as well as France, Italy, Germany and Australia. No confirmation as to whether a new Poland shaped version is due to be created as a ‘Chopin Board’. Where can I get a loaf of bread to fit on this? Next week: Salad servers shaped like Michigan, and Jello-moulds accurately contoured to the world’s most famous mountain ranges. Probably. If you’ve ever wanted to have your pancakes Pennsylvania shaped, or your eggs over easy and in the shape of Ohio? These super cast iron skillets come (soon) in the outline shapes of your favorite (48) states, cost a sizeable number of dollars and weigh even more in pounds. They come with a magnetic wall hanger and can be seasoned (so your food doesn’t stick to them) on request. Buy a whole cluster of states and fit them together, they are fun to collect. Nonetheless they are the coolest additon to the map geek’s kitchen. Check out FeLion’s website for more info. Send us your pictures of your culinary creations especially if you managed to use Michigan. And if you are planning on cooking up a barnstorming breakfast using Delaware, we’re busy that day. Look Mom - I see Wisconsin in my eggs!